If you assumed that the future of journalism would only be free (or at least advertiser-funded), says SA Mathieson, you’re wrong. In a guest post for OJB Mathieson – who recently successfully crowdfunded his own project to report on the Scottish referendum – explains why the web turns out to be capable of charging for access too. The Columbia Review of Journalism recently reported that the Financial Times now has nearly twice as many digital subscribers as print ones, having added 99,000 online customers in 2013. They pay significant amounts for access: the cheapest online subscription to the FT is £5.19 a week. A free registration process does allow access to 8 articles a month – but try to access a ninth and you have to pay. The FT was earlier than most to charge online, but many publishers have followed suit. Only a few – such as The Times – lock up everything, but titles including the Telegraph, New York Times and Economist all use metering, allowing non-paying readers access to a limited number of articles before a subscription is required. They have been joined by increasing numbers of trade and local publications. 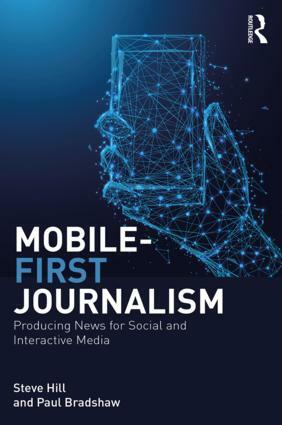 This isn’t just an option for established titles: as a freelance journalist I write for Beacon, a start-up used by more than 100 journalists in more than 30 countries to publish their reporting. It has “more than several thousand” subscribers after five months’ operation, co-founder Adrian Sanders told the New York Times recently. Writers apply to Beacon, rather than it being open to all, and then go through a crowdfunding exercise to get started – although this focuses on selling subscriptions (sometimes with extras) rather than soliciting one-off amounts. Finding your initial subscribers is likely to involve some work. As well as making a video, you need to ask people to sign up. Don’t assume that hundreds or thousands of Twitter followers will translate into anything like that number of subscribers – it’s worth using, but Beacon’s data shows that Facebook produces more sign-ups, and email works even better. It seems that a one to one request, whether email, phone or face to face, works best. This personal touch is important. All Beacon subscriptions are made through a writer, who receives around two-thirds of the money. For the writer, all the administration and technology is handled by the site. Payments are made at the end of each month through PayPal. You just have to do some marketing – and writing, of course. Beacon charges subscribers $5 a month – about £3.10 for UK users – and provides a few paragraphs’ preview of each article rather than a metered paywall. A number of magazine-style publications charge similar amounts, including the New Yorker ($59.99 a year, although it provides free access to many current articles) and UK review site TheArtsDesk.com (£2.50 a month, using Tinypass, a charging service designed to integrate with existing sites). Amazon Singles – Kindle titles selected and promoted by the company (including self-published ones) – have to be under 30,000 words and can cost up to £2.99. And £3 is also the price of two issues of the fortnightly Private Eye. It seems to be a price people are willing to pay each month for distinctive journalism. It’s true that anyone wanting to charge for journalism online has to compete with those charging nothing. That includes the BBC – although it is only free at the point of delivery, like the NHS – and the Guardian. The latter is developing a range of income streams other than paywalls (including for tablet and mobile editions), although editor Alan Rusbridger has been careful not to rule out charging online in future. And while both offer a wide range of journalism, they don’t do everything. Through the likes of Beacon, Tinypass and Amazon, writers and publishers with something distinctive to offer can now realistically aim to get paid for it. Increasingly, online journalism has another option beyond funding by advertiser. Watch a video interview with SA Mathieson about crowdfunding on Birmingham Eastside. 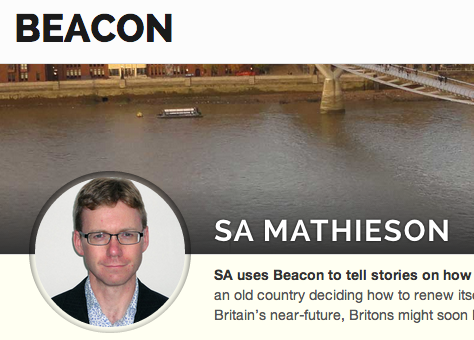 SA Mathieson writes weekly on Britain for Beacon, which offers new subscribers a 14-day free trial He also freelances for titles including the Guardian. 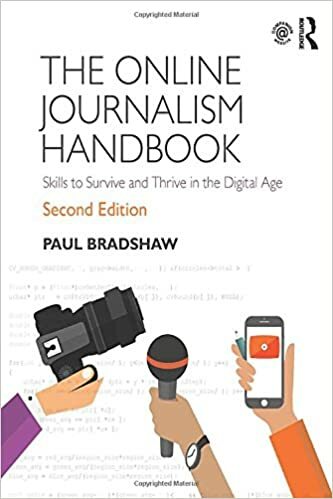 This entry was posted in online journalism and tagged Alan Rusbridger, BBC, Beacon, economist, financial times, Guardian, metering, New York Times, New Yorker, SA Mathieson, Telegraph, TheArtsDesk, Times, Tinypass on March 25, 2014 by samathieson.